Home » GO DUTCH ! » What happened to the group gifts? What happened to the group gifts? Posted By Katia Millet on Feb 21, 2019 in GO DUTCH ! What happened to the group gifts? There were times when I went to my favorite stores on the 1st of the month to collect group gifts. Most of them stopped at some point in the past. But I found some awesome group gifts by Safira. A whole WALL of them! And also plenty group gifts by Coco Designs. Also a whole wall with gifts! And I found a lovely 1 L$ dress for you and some awesome bargains in the 19-04 round of the Designer Circle. This round runs till March 12th. This suit fits Maitreya and Slink (and obviously also Altamura) and the colour change HUD gives you 10 lovely options. Comes in 5 version + resize. * Alenne Toga dress by Wellmade, available at the Designer Circle till March 12th. This dress fits Altamura, Belleza, Maitreya, Slink, eBody and Tonic and it comes with a colour change HUD with 8 options. * Apoema boots by Wellmade, available at the Designer Circle till March 12th. 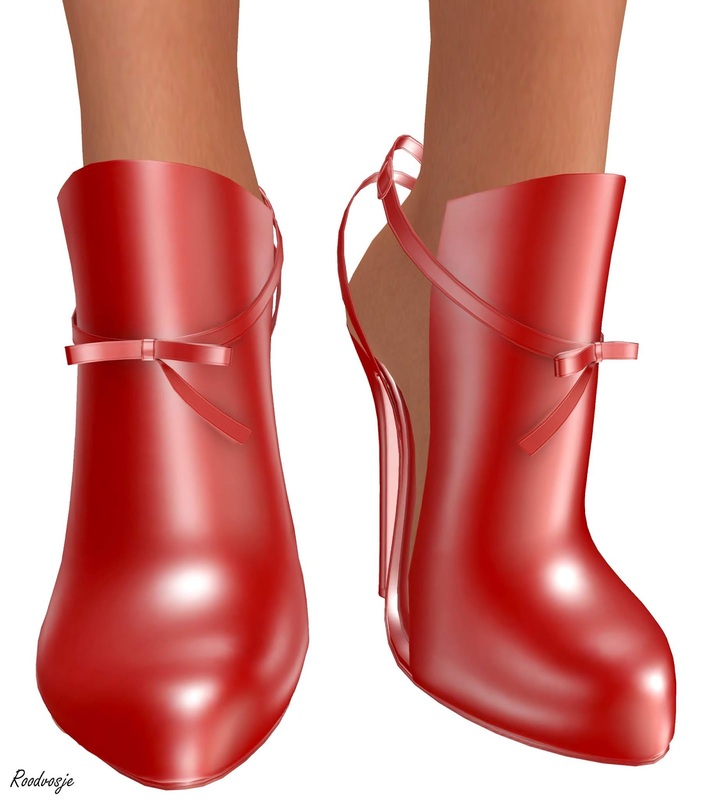 These boots fit Maitreya and Slink. The colour change HUD with 10 options is included, all of this for 135 L$. * Floral jacket by Black Swan, available at the Designer Circle till March 12th. Jacket fits Maitreya, Belleza, Slink and Tonic and it also comes in fitmesh sizes. There are 5 colours available each one is 169 L$. * Grey jeans by Coco Designs. They are a group gift, the group is free to join. Fits Maitreya, Belleza and Slink and Altamura. * Dearest Cardi set by 1 Hundred, available at the Designer Circle till March 12th. This outfit fits Maitreya, Belleza and Slink (and Altamura too) and it is available in 6 great colours. Each one is 150 L$. * Long curly Holiday Seasons hair is by Sintiklia, was a Gacha gift. * Summer mesh dress by Mozer, 1 L$ on Marketplace. This dress fits Maitreya, Belleza, Slink, Altamura and it comes in mesh and fitmesh sizes too. A colour change HUD with 10 options is included. * Diu bangles by Chuculet are 1 L$ on Marketplace or a fat pack with 12 colours for 12 L$. * Nix heels by Vowtte are 1 L$ on Marketplace. They fir Slink and Belleza high feet and you get 2 colours, black and purple.